The World Congress on Oils and Fats will be held in Sydney, Australia from 9-12 February 2020. WCOF20 aims to attract 600+ of the world’s leading exports, academics, researchers, students and commercial supporters in the fields of fats, oils, and lipid research to Sydney. Through an extensive program of concurrent themes including state-of-the-art lectures and supporting in depth reviews, free oral communications, industry exhibits and professional networking opportunities, the Congress is designed to bring together science, industry and other specialists from around the globe to meet and engage in the free exchange of scientific and clinical knowledge. It is the primary event for showcasing the latest oils, meals and related processing science in an environment which fosters discussions around the commercial and practical applications of the science. The Congress will attract researchers and industry practitioners involved in the study and application of oils and fats, and their by-products Key Food Applications of Palm Oil include Cooking Oils/Frying Fats, Bakery/Confectionery Fats, Margarine, Shortenings and Other Uses. This will include fields as diverse as the food, biofuel, lubricant, infant nutrition, oilseed production and processing, oil processing and animal feed sectors. The Australia Oilseeds Federation (AOF) The peak industry body for the Australian oilseeds industry (oilseeds being agricultural crops such as canola, sunflower, safflower, soybean, etc.). International Society for Fat Research (ISF) The custodian for the Kaufmann Award Lectureship Series. In addition to the Congress, the bi-annual ISF Lectureship Series will be held and The Kaufmann Memorial Lecture Award, named in honor of Hans P. Kaufmann, founder of ISF will be awarded. For more information please visit http://www.wcofsydney2020.com/ . 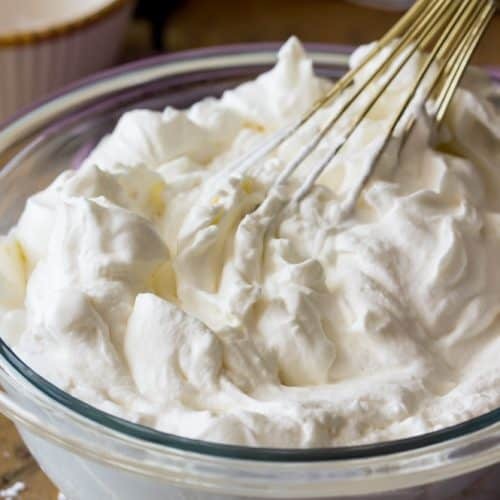 Belgium has updated its official definition of cream with a new draft regulation that lowers the minimum fat content requirement of cream, whipped cream and light cream. The first update since 1934 includes an alternative whole cream definition that allows manufacturers to decide whether to include fat percentage on packaging and gives dairy processors permission to use a “recombination process” for light cream and cream. 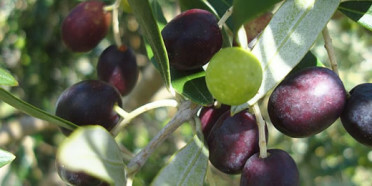 Kapiti Olives from Te Horo on the Kapiti Coast have won the Supreme Award in the 2018 Royal Easter Show Olive Oil Awards with their Koroneiki extra virgin olive oil. The Royal Easter Show Olive Oil Awards is a consumer-focussed national competition featuring blind judging of extra virgin oil from olives grown and processed in New Zealand. The judging panel, chaired by Laurence Eyres, included Craig Rodger, chef and recipe developer with My Food Bag, Geoff Webster, food technologist with Hansell’s, and olive oil enthusiast Dr Judy Goulden. The judges commented specifically on the very high standard of oils this year and that it was no easy task to separate the very best from amongst the top twenty entries. In all they awarded 12 Gold Medals, 17 Silver Medals and 4 Bronze Medals. Hazelnut oil, described as delicious from Uncle Joes, won the culinary award medal. Epidemiological and experimental evidence support a protective effect of dietary polyphenols on chronic diseases, but high-quality longitudinal data are needed, including details on categories of polyphenols This study investigated the prospective association between total and individual classes and subclasses of dietary polyphenols and the risk of major cardiovascular disease in the NutriNet-Santé cohort. A total of 84,158 participants, who completed at least three 24 h dietary records, were included between May 2009 and June 2017. Individual polyphenols intakes were obtained by matching food consumption data from the 24 h dietary records with the Phenol-Explorer polyphenol composition database. Results: Over a median of 4.9 years of follow-up, 602 major cardiovascular events were diagnosed. Intakes of anthocyanins, catechins, and flavanols were strongly inversely associated with cardiovascular disease risk. As well as being nutritionally beneficial the polyphenols are the key antioxidant that provides stability to Extra Virgin olive oil. A recent study funded by this group and the A&P show demonstrated this superior stability on frying. See Selee Cho poster now available on the oils and fats website. It is sad to relate the demise of this readable and informative publication on oils and fats. It published its last issue in December 2017. Its original owner and publisher Dr. Peter Barnes was an old friend and colleague of this reviewer who conceived the idea for his magazine in 1983 when he was a guest speaker at the first International conference on oils and fats held here in Auckland. The magazine (not a journal) was launched in 1989 and its first authors included myself writing on milkfat development and others covering such pioneering issues as dry fractionation. Early issues covered the early controversy over trans fatty acids, interesterification and dairy lipids. In 2007, Peter sold the publication to Elsevier and later to Wiley Interscience and the editor Professor Frank Gunstone continued in his role. In later years, Lipid Technology was having problems getting feature articles (3) per issue. Since they were not peer reviewed, people were reluctant to contribute. When Frank Gunstone was editor, he was so well-known people felt honoured to publish in Lipid Technology. Since he left, Dr Gary List (USA) tried to carry on and Wiley hired two editors whose sole job was to solicit feature articles, but the problem persisted. Since the journal did not accept advertising this may have been a factor. This study investigated whether taking daily vitamin D3 (2000 IU) and/or EPA+DHA (omega-3-acid ethyl esters) (Omacor®, 1 gram) reduces the risk of major cardiovascular disease (CVD) events. These events were specifically defined as the composite of myocardial infarction (MI), stroke and CVD death. VITAL also looked at total invasive cancer in people who do not have a prior history of these illnesses. This is the first large-scale primary prevention trial — subjects included 25,871 men and women — looking at heart disease as an outcome. The greatest reductions were demonstrated in those with low dietary fish intake and in African Americans. While this is noteworthy, scrutiny of the data is required to better understand these findings.